Nut butters are high in protein and good for skin. Almond butter is our new breakfast obsession. And there is nothing better than almond butter on wheat toast with a latte first thing. It's also a brilliant substitute for butter in baking. 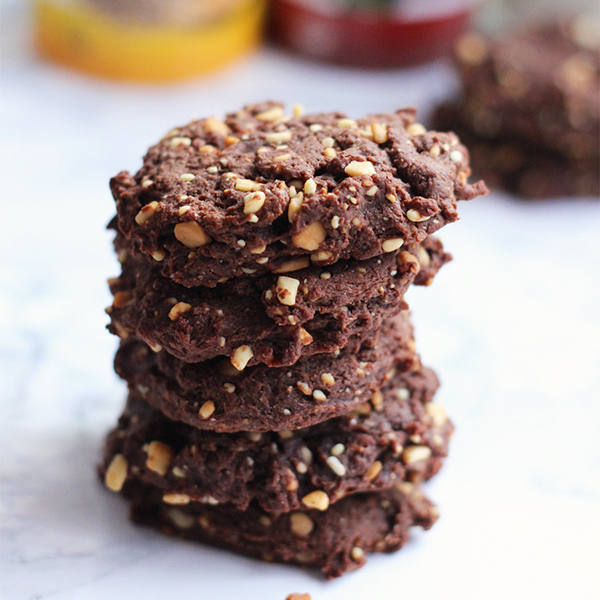 These biscuits are high in good nut protein and low in carbs. Super easy to whip up, they will last for a week in an airtight container- happy baking. Spoon the mixture into one tablespoon sized biscuits, and use the back of the spoon to flatten each biscuit. Split the dough between two baking trays so there are six biscuits on each tray. Bake in the oven for 10-12 minutes or until the outside has a crunch. Allow to cool on a wire rack.